Computing Applications & Technologies | Perfect Parts Corp.
Computing is the term used for a computer's ability to process information and commands at rapid speeds in an ever evolving industries such as military, industrial, commercial, and by way of private sector in high powered gaming machines for the #1 sector in entertainment, the video game industry. Motherboards, processors, memory, video cards, sound cards, modems, routers, video/audio controllers, and even the cloud uses for computing. 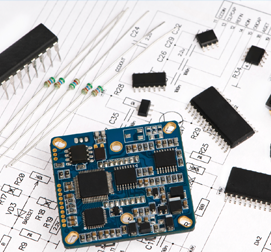 Without electronic components, none of it would be possible.